Dog walking tips - Wauf! Dog walking is great exercise for both dogs and dog lovers, however for new owners it can be a challenge — particularly if the dog is of a larger breed. For smaller framed individuals with plus size pups, it can also be tough to maintain effective control in the event the dog sees something he or she desperately wants to check out. Here are a few tips to help walk your dog in a manner that is safe for you, your dog, and other people/animals you might pass along the way. Have any tips of your own? Add them in comments! Use a fixed leash – Extendable leashes may seem like a bright idea, making it easier for owners to let dogs roam at will. 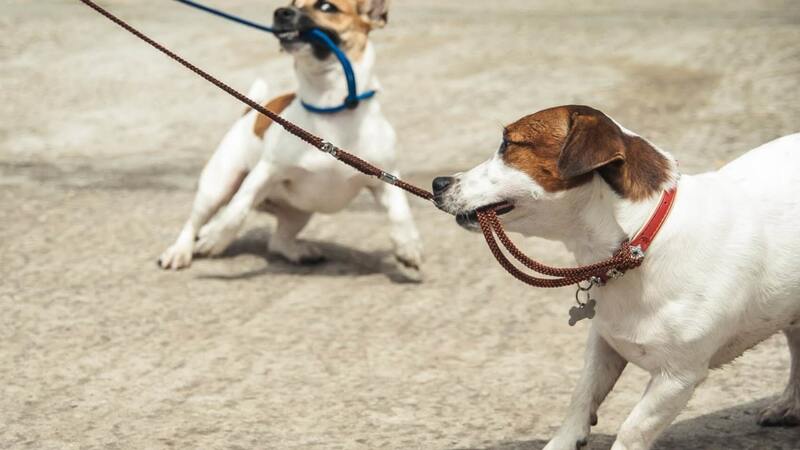 But if control is your central concern, be advised a fixed leash is a much more secure option. Extendable leashes place inertia in your dog’s favor, as it will be much tougher to navigate your dog once it has a running start. Furthermore, for owners who may lapse in attention from time to time, an extendable leash allows a dog to be in full motion up to the point where the leash ends, giving the dog walker little notice before the leash is ripped from his or her unsuspecting hands. Stay in front of your dog – This is an easy mistake many newbies make as it’s easy to let an excited dog lead the way during his exercise time, but remember dogs are by nature pack animals. Letting your dog play leader will instinctively give it the impression that it’s now in charge, making it less likely to bend to your will, even in instances where you are looking out for its safety. Bring treats – A little reward for walking the right way is never a bad thing, and positive reinforcement of good behavior has been an effective training technique since the beginning of man’s best friendship. Treats are no longer necessary once solid walking habits are established, but new walkers should have a trick or two up their sleeve! Previous Post The big list of healthy dog treats your dog will go nuts over!